Thanks for sharing, Vincent, and God bless your week. I heard a sermon on this yesterday. 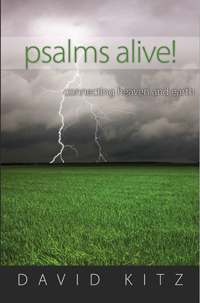 Satan, the devil, the accuser, the liar, whatever you call him, is very much alive and active. He is bent on taking control of our souls. He doesn’t love us. He doesn’t even like us. He’s just trying to steal us from God. I am saddened to see that most folks 40% don’t believe the devil exists.. We need to look at this enemy as our adversary and realize that he still has much power – even though he’s been defeated by Jesus. If we ignore his presence, we’re letting our guard down and allowing him to do his dirtiest work. You are so right, Kathy. The devil is at work. Are we alert and at work for the Lord? I wrote a book titled, Zoose Empowered. Zoose is a special angel sent from God to earth for a particular purpose. His Mission was to destroy evil in the heart of a youth named John Paul. As the story unfolds,, the battle between good and evil is told. God’s Angel’s and Satan’s demons battle for control. The book is available online in both hard copy and e book format. The book is fiction but many of its truths are real. It entertains while at the same time shows that we always have to aware of the unseen world around us. Yes, the battle is very real. Thanks for sharing, Joyce. So true, Wally. I couldn’t agree more.